I hope everyone had an amazing week! Mine was pretty normal around here. I actually got a couple of crafts made and posted this week, Yea me! 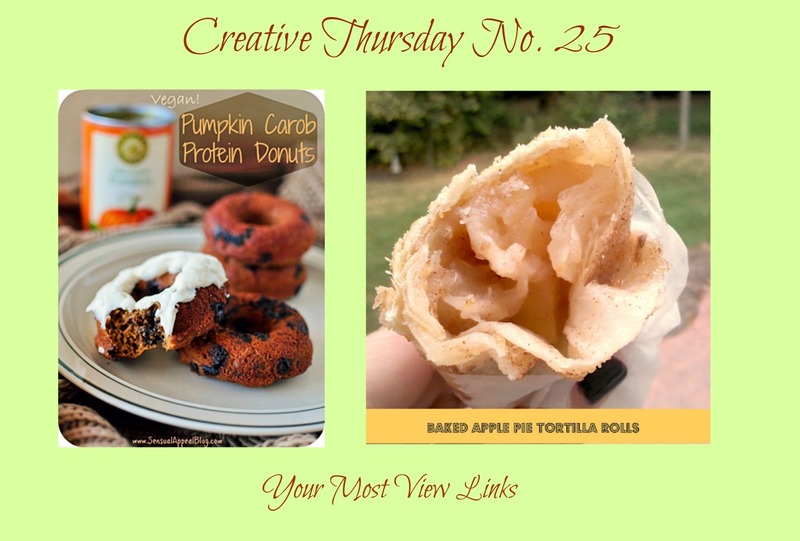 You guys have been linking up some amazing crafts for the Fall and some wonderful recipes and DIY's too. 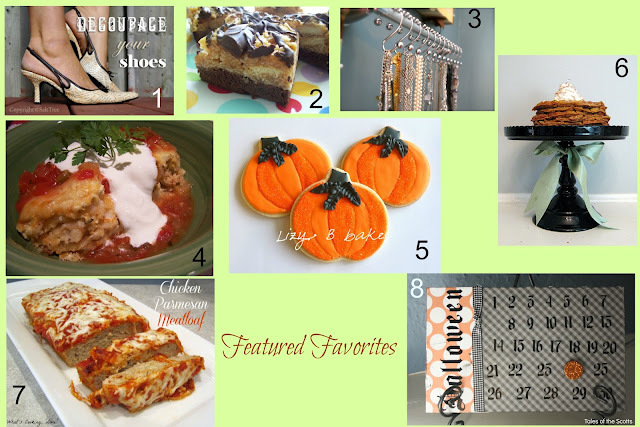 I am finding it harder and harder to find featured favorites each week because everything is so wonderful! Pumpkin Carob Protien Donuts from Sensual Appeal a vegan recipe with lots of YUM! Baked Apple Pie Tortilla Rolls from Sweet Little Bluebird. Let me tell you these are AMAZING! I know, I made them yesterday! 1. Book Page Podge Shoes from Salt Tree I want to do this to all my shoes! 3. Jewelry Organization from Three Kendrick Blessings every woman needs this! 4. Chicken Enchilada Lasagna from Go Ahead...Take A Bite! mouthwatering wonderful! 6. Pumpkin Maple Waffles from Sweet Boutique do I really need to say anything? Just go make these! 7. Chicken Parmesan Meatloaf from What's Cooking, Love? looks delish! 8. DIY countdown calendars from Tales of the Scotts I want one for every holiday. I hope you have a great weekend, it sounds fun! Today I've linked up my Easy Cream Biscuits and Chocolate gravy. Thank you so very much for featuring my cookies and for hosting the party!!! Hope you like the tutorial I linked up this week! Hey Michelle, I know it's been a while since I linked up but it's be crazy. thanks for still hosting! Thanks so much for the feature Michelle! Thanks so much for hosting Michelle and for featuring my podged shoes! Have fun in the mountains... the leaves will be beautiful now. So happy to see all these AWESOME fall crafts and recipes. Thanks for hosting! Great party, Michelle! I hope you are having a great week! Thanks for featuring my Chicken Parmesan Meatloaf and thanks for hosting! Thanks so much for hosting Michelle! Have a great week! Yah! Thanks so much for the feature!! Thanks you for hosting another great party! Hi Michelle ~ I LOVE that you LOVED the Apple Pie Tortilla Rolls! Yay!!! Thank you so much for the feature...fun fun fun! I just linked up. Hope you're having a great day! Off to check out all the great features and shares...Cheers!